The Justice Department partly unsealed a pair of indictments yesterday that accuse the Chinese telecommunications firm of trying to steal trade secrets, evade economic sanctions on Iran and obstruct a criminal investigation into its behavior. The allegations: The U.S. says that Meng Wanzhou, Huawei’s chief financial officer and the daughter of its founder, Ren Zhengfei, participated in a plot to defraud four large banks into clearing millions of dollars in transactions with Iran in violation of international sanctions. American officials say that Huawei tried to impede their investigation by destroying evidence and by moving employees out of the U.S. to prevent them from being called as witnesses. The company, prosecutors say, also stole information about a phone-testing robot called Tappy from T-Mobile facilities in Washington state and encouraged employees to steal other confidential information from competitors. What now: Matthew Whitaker, the acting attorney general, said that the U.S. government wants to have Ms. Meng extradited from Canada, where she was detained last year at Washington’s request and where officials are now on tricky political turf trying to balance American and Chinese interests. The tussle has the industry on edge; an internal assessment from Deutsche Telekom concluded that the 5G rollout in Europe would be delayed by at least two years and cost billions of euros if governments banned Huawei, whose technology underpins much of the current network infrastructure. The Huawei charges will complicate negotiations on Wednesday that were already expected to be tense. A delegation of dozens of Chinese representatives led by Vice Premier Liu He will meet near the White House with a group headed by Robert Lighthizer, President Trump’s top trade negotiator, and Steven Mnuchin, the treasury secretary. On Thursday, Mr. Liu is expected to meet with Mr. Trump. Mr. Mnuchin said there had been “significant movement” on talks that involved “very complicated issues,” including intellectual property protections and questions of enforcement. The Chinese may offer to increase their purchases of U.S. farm products and energy, and slightly change their industrial policies, while pushing back on demands to eliminate subsidies to favored industries. The parties have until early March to reach an agreement, or else risk an escalation in the trade conflict. Mr. Trump is being pressured by the markets and the corporate sector to deliver a deal. A recent survey found that his trade policies had led more than a third of American manufacturers to raise prices. Yesterday, the chip maker Nvidia and the bulldozer builder Caterpillar both issued warnings about business conditions in China. The five weeks when much of the government was out of commission cost the U.S. economy $11 billion, nearly a quarter of it permanently lost, the Congressional Budget Office said yesterday. 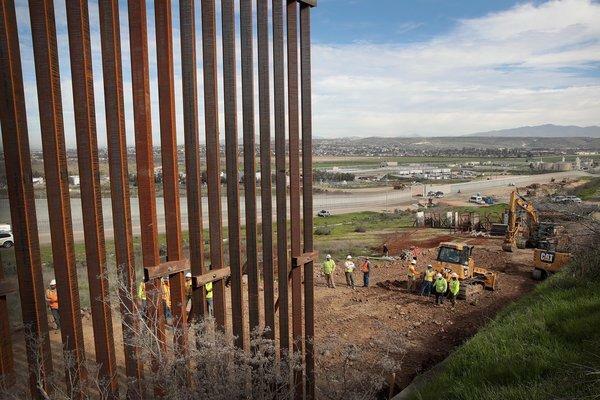 That’s nearly double the $5.7 billion President Trump is seeking for a southern border wall — a project he still wants and is still threatening to shut down the government to get. The damage will be mitigated somewhat as furloughed workers start to receive their back pay, but with the government only funded for three weeks, many federal employees plan to hold off on spending. Here’s another wrinkle: Government statisticians just now returning to work are behind on collecting and analyzing figures on retail sales, manufacturing data, housing statistics and other information. Investors, executives and analysts nervous about signs of weakness in the economy are grasping for details about the labor market, inflation and business spending. And when the Federal Reserve’s policymaking group meets starting today, it will be missing some of its customary guides. Howard Schultz, the former chief executive of Starbucks, told Andrew yesterday that he was not fazed by criticism that his potential presidential bid as an independent could strengthen President Trump’s chances for re-election. “Nobody wants to see Donald Trump removed from office more than me,” Mr. Schultz said at an event in a Barnes & Noble bookstore in New York to kick off his national book tour. Responding to critics: Mr. Trump said in an early morning tweet that Mr. Schultz did not have the “guts” to run, a taunt that Mr. Schultz called “childish.” Michael Bloomberg, another possible presidential contender, condemned independent bids. More: Bill Burton, a former adviser to President Barack Obama, pushed back against criticism over his decision to join Mr. Schultz’s team. And the harsh response on social media to a potential Schultz candidacy could affect the Starbucks brand, according to the Washington Post. The lawyers can detain defendants for more than three weeks before bringing charges, arrest suspects multiple times to extend their detention and interrogate them without their counsel. Some in the West have reacted strongly to the power that prosecutors have wielded. “This is an approach to the rights of accused people that one would expect in a dictatorship, not in Japan,” one critic wrote. Thanks for reading! We’ll see you on Wednesday. Previous PostPrevious Can Technology Help Fix the Housing Market?